Excellent read. Mickey's vision and team setup is the reason we are performing well. Though it looks pathetic when Sarfaraz is shouting at the players (apart from Hafeez and Malik which is justifiable they are the most experience lot) but this nation only performs well under a harsh leader (danda lazmi hai). This partnership will benefit Pakistan as long as we continuously working on our flaws. 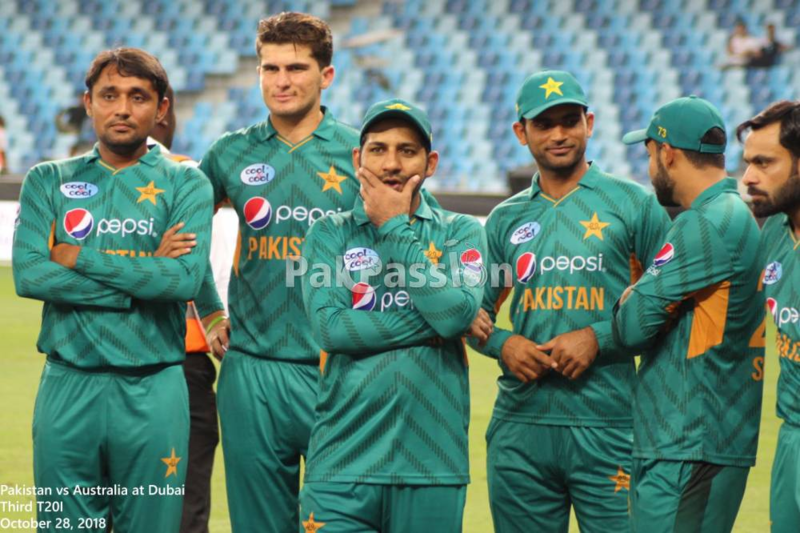 Sarfaraz, Babar, Shehzad, Haris, Talat, Fakhar, Umar. Well done and congratulations. But begs me to ask the question as to why we falter in a 50 over game. As pointed out numerous times. We have failed to win a game against a decent side since our champions trophy. I hope the kiwi series can prove to be a fruitful one for us. I disagree with this in all honesty because Pakistan have been a world T20 powerhouse for almost a decade now. There was a bit of a dip a couple years back but they are back. Only the WI have more world t20 championships but have not produced the same quality of cricketers in the format, especially the bowlers. Afridi, Gul, Malik, Ajmal and probably a couple others would make up a world ATG top 10. No other side has dominated as much, not sure how much of that is due to Arthur. I am not all that convinced. This team was brutally exposed by New Zealand in New Zealand and in the Asia Cup. How you do against the big boys is what ultimately matters and these results show that when the pressure is really on, the team falters. Pakistan won T20 series against NZ. ODIs - Pakistan is still behind. Article is about the Twenty20 format performances. Only a matter of time before we get a massive reality check in T20s as well. This is clearly our best format, but we are comfortably below India and England in this format as well. A T20 series with India right now will be as humiliating as the Asia Cup, and although we beat England in a one-off T20 in 2016, they will comfortably prevail over a long series. One-off games don’t count. 1 match in 2 years against the two best sides in the format is the reason for our artificial ranking. For me a sustained period of success against India in all formats will make me feel better about my team. Along with improved performances against Australia in Australia, NZ in NZ and South Africa in South Africa. After CT this team was hailed as the next to great Aussie. We know how it went. This T20 burst will also wear out. And these same people will take the opposite stand calling heads. This T20 side is certainly not formidable but can certainly compete against India or England. the Mickey worship is getting a bit tiring. He's been an awful coach strategically speaking, in terms of understanding what is required to win Tests and ODIs in the UAE and Asia, and a middling judge of talent and skill, sticking far too long with Rahat Wahab and Shehzad. We won the CT in large part because of two players Mickey did not initially want to play, Fakhar and Junaid, who came in to replace Shehzad and Wahab. In the T20 format we have a domestic tournament in the PSL that helps with selection. I agree almost entirely. I do think Arthur deserves credit for betting on younger talent which was previously being held back (remember, he was not in favour of a return for Riaz). When teams do well, it is down to players, coaching staff and selectors. One man can never have all the credit in the modern game. This is for T20, and I do agree that team has a playing ruthlessly in T20, which is evident in the ranking points (not position). 110 was good enough for a Rank 1 in Test; 115-125 is excellent points (might not be no. 1 still) in current ranking system. 136 is outstanding- I would like to see what was AUS’s peak points between 1999 to 2007 for both Test & ODI; same for WIN between 1979 to 1983 (no comparison what so ever, I must note here). This actually proves one more time - T20 & ODI are different ball game; only similarity is that both bounded by number of overs. PAK probably has a W/L of 25/3 under Mickey, which is exceptional in any context. I understand that most of these games are against under strength sides or substandard opponents; and most importantly none in a tournament game; but I put the same numbers in ODI context - can PAK win 25 out of 28 ODIs against full strength ZIM, AFG, IRL & SCT? Mickey has done great indeed, but a good reason for that is his team is tuned to performed in T20 - skill wise, tactically & mentally as well. Don’t know I should take it positively or with a pinch of salt. Last edited by MMHS; 31st October 2018 at 20:03.